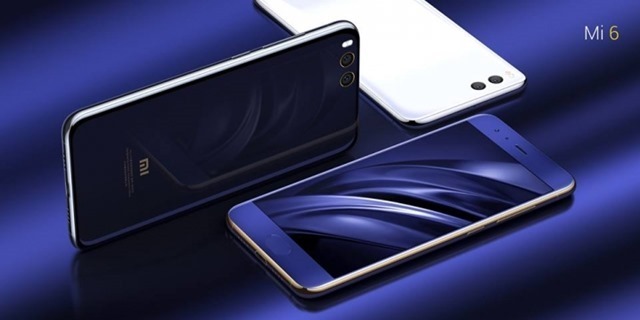 The Xiaomi Mi 6 has officially been launched in China. The flagship phone takes a leaf out of Samsung's book, by sporting a dual curved edge display. Speaking of, the display on the Mi 6 is a 5.15-inch 1080p screen, and supports reading mode, which is basically a blue light filter. 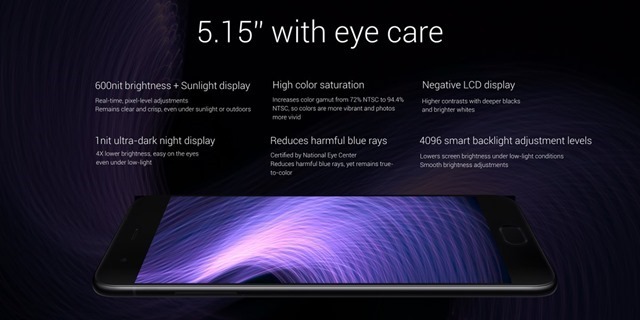 The display has a 600 nit ultra brightness, and a 94.4% NTSC color gamut. 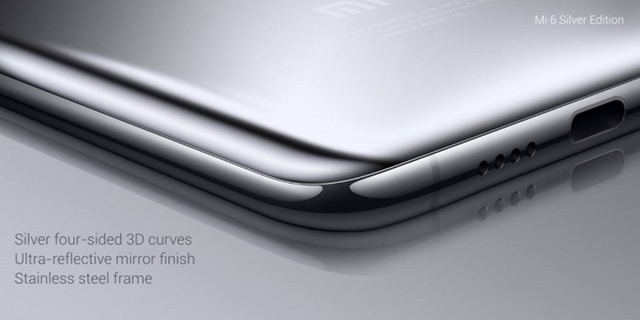 The Mi 6 sports a stainless steel body with a high gloss finish, which also includes the frame. 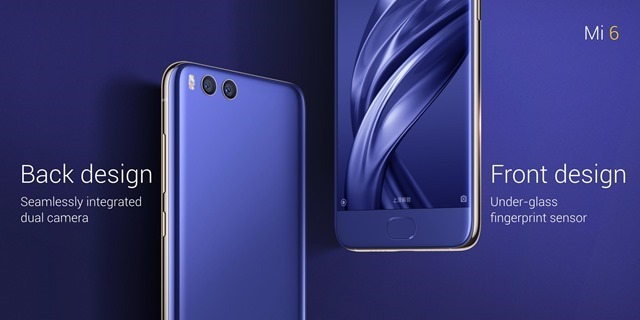 The Mi 6 runs on Android 7.0 Nougat with MIUI 9 on top, and is powered by a Qualcomm Snapdragon 835 chipset, which is a 64-bit octa-core 10nm processor, clocked at 2.45GHz, 6GB of RAM and an Adreno 540 GPU. 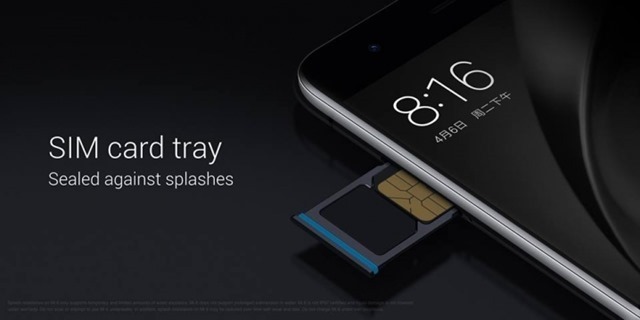 The phone comes in two variants: one with 64GB of storage and the other with 128GB of storage. There is a home button on the front panel, but the fingerprint sensor is housed under the display, ala an ultrasonic fingerprint reader. The phone is incredibly slim, at just 3.75mm in thickness. Connectivity wise, you get 802.11 ac Wi-Fi, 4G LTE, Bluetooth, etc. 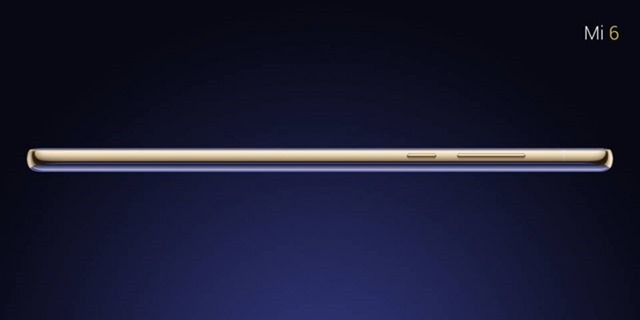 Xiaomi has ditched the 3.5mm audio jack in favour of the USB Type-C port for charging, data transfers and audio. 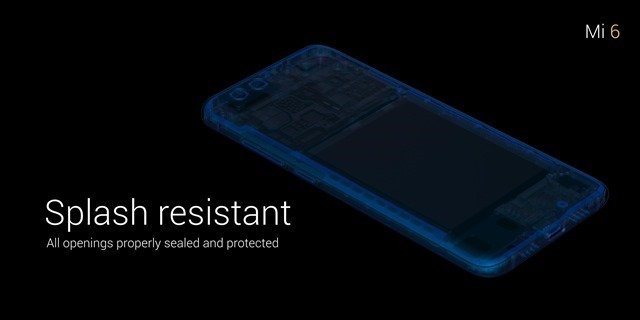 This is because the Xiaomi Mi 6 is splash resistant. 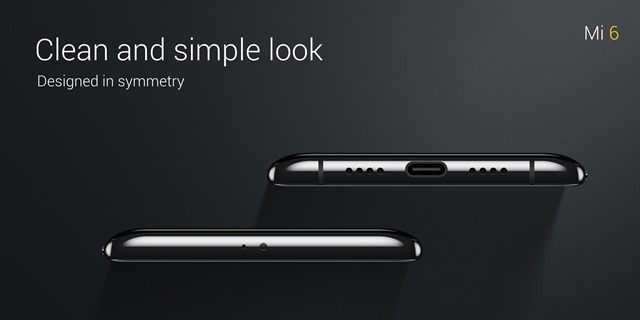 The phone has a speaker grille on either side of the USB Type-C port. The phone has dual stereo speakers on the top and the bottom of the device. 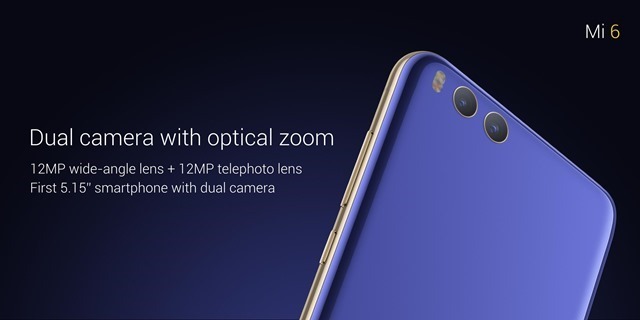 The device's photography options include dual rear cameras, one which is a 12 MP wide-angle lens, and the other also a 12 MP tele-photo lens, along with a Dual LED flash. 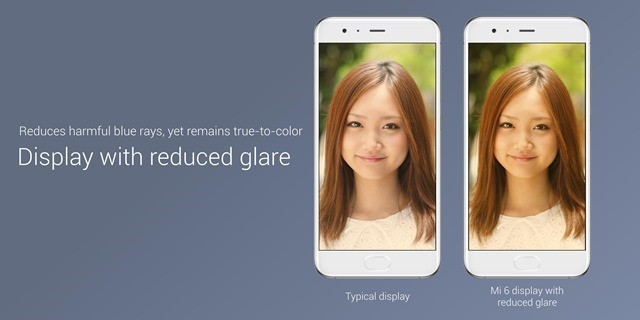 The cameras on the Mi 6 support 4 axis Optical Image Stabilization, 2X optical zoom and 10x digital zoom. 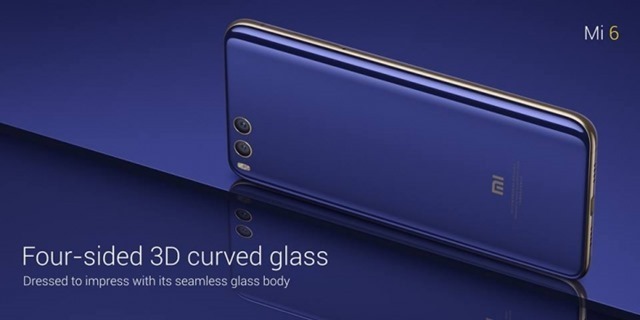 The phone is backed by a 3350 mAh battery. 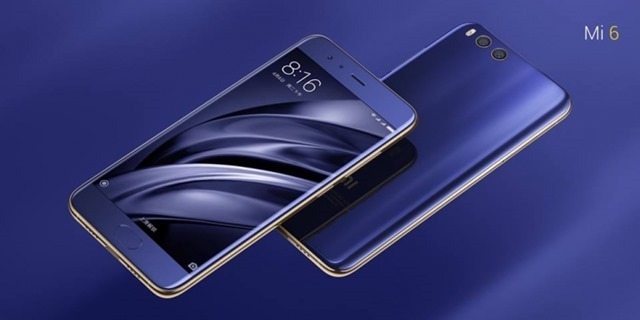 The Xiaomi Mi 6 has been priced at RMB 2499 for the 6GB RAM/64GB storage variant, which translates to around Rs 23,400. The Mi 6 with 6GB and 128GB storage costs RMB 2899 (around Rs. 27,100), while the Ceramic Mi 6 edition with 6GB/128GB storage costs RMB 2999 (around Rs. 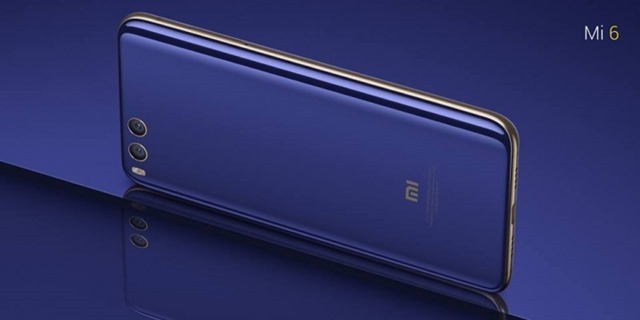 28,100).The Mi6 will be available in Blue, Gray and White colours.There is a special Silver edition of the Mi 6, which has four-sided 3D curved 3D glass to provide for rounded corners. 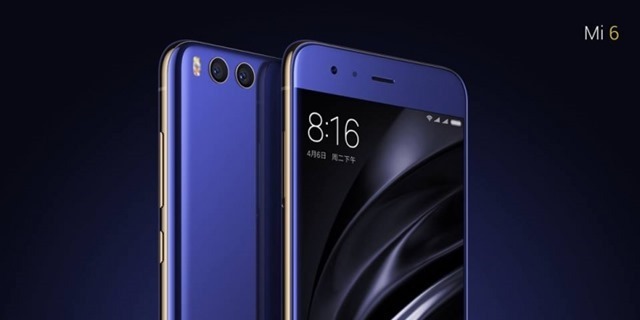 The Mi 6 will be available for pre-order starting April 20th, i.e. tomorrow. 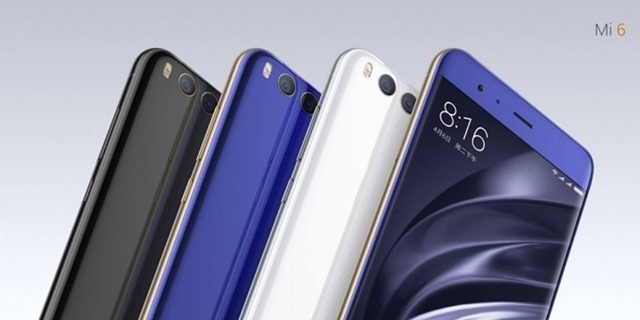 There is no official word on this yet, so whether the Xiaomi Mi 6 will be launched in India, remains a mystery. 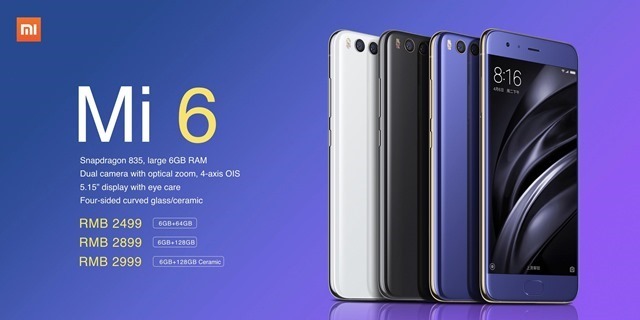 We are not too hopeful of the 6GB variant launching in India though, as the company did not treat our Country as flagship ready, as evidenced by the Mi 5. The previous gen flagship was only available with 3GB of RAM here. Xiaomi still sees India as a mid-range market, a view which it has to change, perhaps by looking at OnePlus' solid user base in the Country.